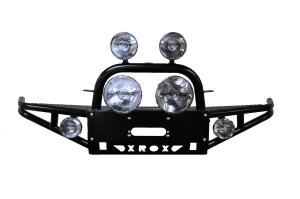 Xrox Bars available at Midland Towbars, your 1 stop shop for automotive accessories! Born from the demands of serious off-road competition, Outback Accessories’ range of Xrox® bars delivers the results you want – serious good looks, extreme off-roading capabilities, airbag and ADR compliant and the durability that real steel and Australian design delivers. Xrox® gives you the protection you need with the clearance you crave. Lighter than traditional bull bars, our smart “winged” design allows for fast easy replacement while maintaining strength. Built in hi-lift jack points together with mounting positions for winches, tow hooks, recovery eyes, lights, aerials and sand flags gives you the versatility you need. Xrox Bars available at Midland Towbars! Now you can put some serious strength behind you with an Outback Accessories Xrox® Rear Bar – a unique chassis-mounted twin tube ‘winged’ design that wraps around the three-quarter panels for real side and rear protection …on or off the road. Our Rear Step Bars give you competition looks and strength, improved clearance and departure angles, the convenience of a chequer-plate step and the cost effective ability to retain your stock or aftermarket tow bars. If you you’re looking for serious rock-hopping ability, back-up your Xrox® bar with a set of sliders for maximum clearance, maximum protection for your sills and the strength to keep rolling over practically anything! Xrox® sliders are engineered to comply with side curtain airbags on new model vehicles and will not affect the triggering of the airbags. 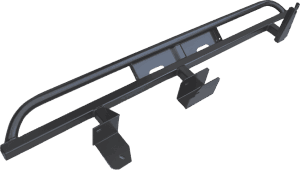 Sliders are available for a wide range of vehicles. 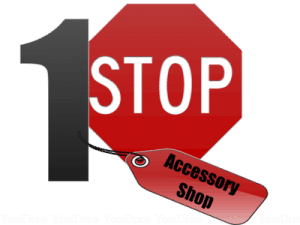 Choose Midland Towbars today, your 1-stop vehicle accessory specialists, and get all your Xrox® gear!